Love Fila Trophee Tennis Clothing is at Tennis Express! Have you seen Marion Bartoli lately? I mean, really seen her??? Not just the weight loss, but the total life transformation? In addition to losing 35 pounds, she has professionally blossomed into a full time clothing designer and we are loving it! The French born Bartoli is partnering with Italian clothing company Fila to produce court ready tennis looks worthy of placing in any European boutique. Tennis Express is lucky enough to be one of six tennis retailers in the country to carry Marion Bartoli’s Love Fila line, and we are ready to strut her stuff! The Love Fila collection debuted the Court Central Line with style at the French Open with players like Jelena Jankovic and Karolina Pliskova. The Court Central Dress was the centerpiece of her collection for the French, but as you can see, there’s a nod to her Wimbledon crown in one of the prints for this flattering dress! Wimbledon will always be a special event for Bartoli, and she celebrates her love for London with the Trophee Line! Bartoli is finally revealing to the world her true artistic passion. Before her Wimbledon Final in 2013, she painted for hours to calm her nerves and help her stay focused. Now, her focus has shifted to creating the perfect pieces for Wimbledon competition. The Love Fila Trophee Tennis Dress will be worn by Jelena Jankovic at this year’s Wimbledon, and we can see why she’s chosen to wear this stylish and functional dress. The mesh vents on the side, resembling an empty conversation bubble will be the talk of the tournament, while the deep V on the back will keep her cool in the muggy London air. There’s just something that feels right about all white clothing on grass courts, but Bartoli takes this idea to new heights using design elements that will help players stand out from the sea of white on court. 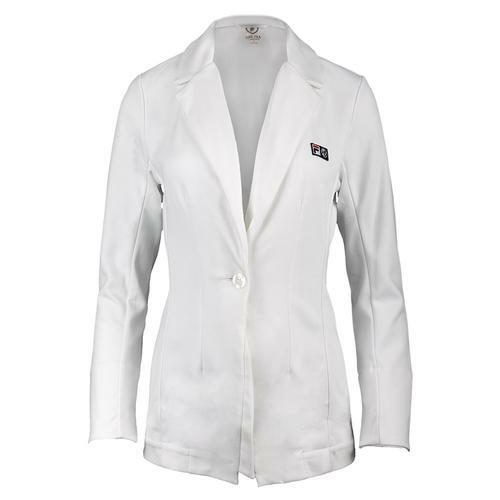 The White Tennis Blazer makes the court your catwalk with its perfectly shaped collar and one button closure. I think this is a blazer you’ll find yourself throwing on over jeans for a night out with friends or wearing on to the court for warmup! One of the most versatile pieces in the line is the Trophee Performance Skort. 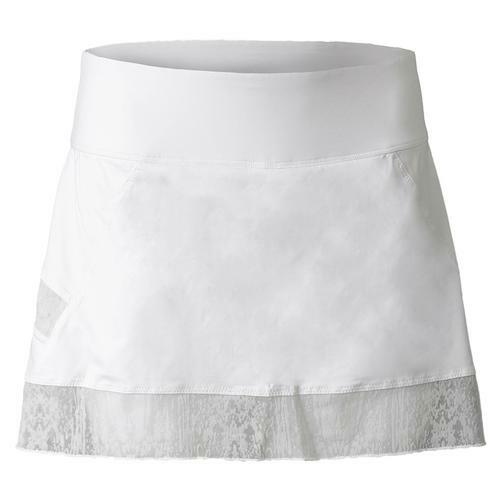 All white skorts are a smart addition to your tennis wardrobe, and the design of this dress makes it stand out from the rest. It’s not over the top, but a hint of mesh on the sides and hem shows off your style and functions to help keep you cool on court. It pairs well with the Trophee Tennis Tank which features the same mesh design as the dress on each side. Whether it’s for your club championship or just a league match, you’ll feel like a Wimbledon Winner in the Love Fila Trophee Line! Ready to grab these looks for yourself? Visit your favorite tennis boutique, otherwise known as Tennis Express, to get the exclusive Love Fila Collection by Marion Bartoli!